Even minor car accidents can cause back injuries. In a car accident, the human body can be jarred, twisted and impacted with significant force, even if the damage to the vehicle seems minor. In some cases, symptoms of back injuries don’t even appear for several days to weeks after the date of the collision. It is important that you seek medical attention even if you don’t feel hurt. One seemingly minor injury that might occur in an accident is a thoracic strain. What is a thoracic strain injury? 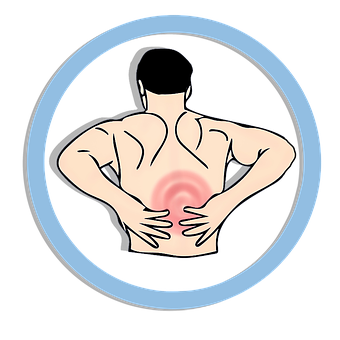 Thoracic injuries affect the mid-back region of the body. Strains are injuries to muscles or tendons (which attach bones to muscles). Thus, a thoracic strain is an injury to a muscle or tendon in the mid-back region. These injuries can range in severity from a muscle pull to a muscle or tendon rupture, in which the muscle or tendon actually tears. Treatment for a thoracic strain injury generally includes rest to allow the damaged muscle or tendon to heal. It may take several weeks or months for a torn muscle or tendon to heal, while a pulled muscle might take a week or so to heal. A doctor likely will order an X-ray or other tests and perform an exam to diagnose the injury and its severity. In severe cases, surgery might be required to repair the muscle or tendon. But in most strain injury cases, the patient is instructed to rest and perhaps avoid certain activities. Physical therapy may be part of the recovery program to improve mobility during recovery. A doctor also may recommend an over-the-counter medication or might prescribe a medication. Be sure to retain copies of all medical bills, prescription costs or other important medical information that you might need to support your auto insurance claim or lawsuit. Iowa is a fault state when it comes to auto insurance claims. This means that the person at fault for an accident is liable for bodily injury and property damage. If you were at fault for the accident, you will need to file your bodily injury claim with your own insurance company if you have appropriate coverage like a no-fault medical payments (MedPay) policy that covers your injury-related expenses. You also may need to use your health insurance if you caused the accident. If you were involved in an accident in which the other driver was at fault, you may file an insurance claim with that driver’s insurer. This allows you to recover compensation for medical bills, lost wages, and pain and suffering related to a car accident injury like a thoracic strain. You also may rely on your own coverage, but ultimately the other driver is responsible for your damages. If you are unsure of how to proceed or have concerns about the assignment of fault in your car accident claim, seek the assistance of an auto accident lawyer to help with your case. Walker, Billingsley & Bair is a local Des Moines law firm that helps victims of auto accidents obtain compensation for their losses related to injuries like a thoracic strain. Call us today at 888-435-9886 to set up a free consultation to discuss your case with an attorney. You also may use the form on our contact page to set up a free consultation.